What Types of Video Marketing Campaigns Can I Run? Home > What Types of Video Marketing Campaigns Can I Run? Video is now a central part of our everyday media consumption. Some 81% of businesses use video as a marketing tool, most of watched by consumers increasingly on mobile and some of them going viral. The latest Nielsen Global Trust in Advertising Report also says that 48% of consumers trust online video ads. But despite the growing popularity of video marketing, a lot of brands still have their apprehensions about running video campaigns. Common concerns usually involve the amount of money, time, and skill necessary to create videos—which, in most cases, are enough to discourage marketers from trying it out. The thousands of video campaigns we’ve run on behalf of the brands, however, taught us that video marketing doesn’t have to be as intimidating as it is seems. Much like how you are able to choose from a variety of formats and channels for your content marketing campaigns, video marketing also offers a wide range of options to explore. 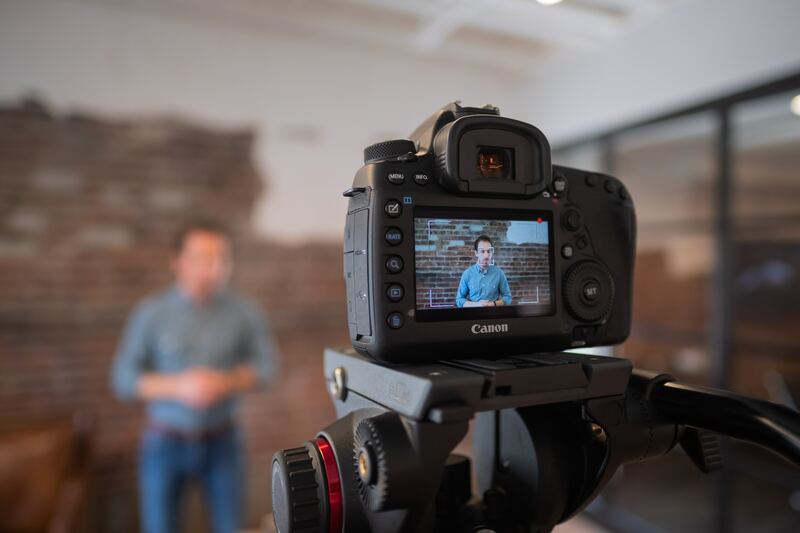 Depending on your business objectives, there are several types of video marketing campaigns you can run for your brand across the marketing funnel. If your goal is brand awareness, you want as many people as possible to talk about your brand. This means you want to reach large audiences within your key content areas and spark meaningful conversations around your brand using widely relatable content. At GetCraft, we recommend using large creative videos, sponsored videos, and live or ephemeral videos during this stage to get your message across. Large creative videos allow you to play around with creative messaging that uniquely resonate with your audience, while favorably positioning your brand in the process. Avida did this using an issue Metro Manila commuters know too well: the daily stress caused by distance between home and work. Through their #ChooseToMove large video series, Avida effectively demonstrated how moving into their ready-for-occupancy (RFO) units can put an end to this struggle. One of the most effective and cost-efficient ways of doing video marketing is through the co-creation of sponsored videos with trusted influencers and publishers. Among the many advantages of sponsored content is the possibility of rolling out individual pieces of unique content within a relatively short amount of time, making it easier for you to target a myriad of consumer types. A great example is Avida’s collaboration with CNN Life to create videos that feature inspiring personalities. Live videos allow viewers to be more “in the moment” and to fully immerse themselves into the actual setting of your video. This format also encourages live feedback and interaction among viewers—adding another layer of engagement to the experience. According to Facebook data, Live videos tend to generate 10 times more comments and interactions than other videos. Like videos in the awareness stage, those in the brand-building phase should not be heavily product-related. Keep in mind that your goal is to establish your brand as a credible source of high-quality, relevant content, so it’s best to produce videos that put the needs and interests of your consumers first.During this stage, we recommend the use of Online TV channels and how-to videos. Avida launched and maintains through GetCraft a content portal called Pursuit of Passion, which is a site filled with content that help consumers navigate the relatively long consideration phase when buying real property. Video profiles similar to the one from CNN Life are among the regular content we put out. These video profiles are hosted on the brand’s content portal, making the site sort of an online TV channel. Other types of videos we publish on the Pursuit of Passion website are how-to videos. For Pursuit of Passion, for example, we produce videos on how potential condo buyers can make the most out of limited space or how they can spruce up their units to fit their lifestyles. Google reports that 23% of internet users watch online videos to learn something new, making the demand for how-to videos high. The product consideration phase is where you can have content that is directly about your product or brand, as bottom-funnel consumers are looking exactly for those types of content. We call videos in this phase hygiene content, or pieces that you must absolutely have on your channels. Hygiene content may come in the form of explainer videos, corporate videos, and case study videos. Explainer videos allow brands to highlight specific features of their product or explain how their services work. Avida, for example, puts out virtual tours of condominium units to appeal to consumers who are interested in developments and curious about how units look like. By creating a “360 Virtual Reality” video, consumers with high purchase intent are nudged towards the next phase of their purchase journey. Brand reputation is also an important factor for some consumers who are already looking to buy, and corporate videos are a great way for brands to communicate stability and credibility to its target consumers. To address this, Avida publishes on its channels corporate videos such as this annual or impact report-type video by the Ayala Land Group called Reshaping Land, Reshaping Lives. The experience of other customers is also crucial in convincing potential buyers. This is why we consider case study videos hygiene content. These can be in the form of client testimonials or other videos that highlight happy clients, giving them the confidence to buy the product themselves. Avida’s overage of events they run in the communities they develop are good examples of case study videos. We encourage you to be open to experimenting with different formats, channels and techniques in using video for your campaigns. But no matter what type of videos or combination of videos you choose to create for your brand, our tip is for you to explore partnerships using sponsored content—or pieces co-created with publishers and influencers. Not only are they highly trusted ad formats, they are also cost-effective ways to get your message across—since sponsored content also allows you to tell more stories than conventional ads.The GetCraft Marketplace is a good place to start if you’re looking for sponsored content partners and even video content producers to help you produce at scale all the content you need.